Baltimore offers a dozen co-working spaces with a variety of membership options. It has the best Co-Working Spaces with free parking, complimentary coffee, and even childcare. What else is needed to satisfy your needs, right? 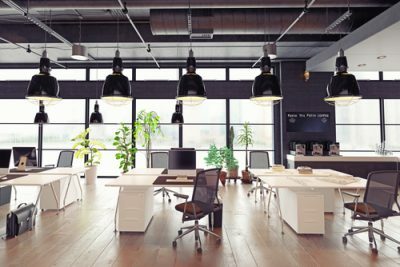 Let’s agree that for an entrepreneur, consultant, or, freelancer, one of the biggest costs of running a business is leasing an office space. For some businesses, the traditional office might not work. Edwin Winfield, co-founder of Homies, based at the Emerging Technology Centers, commented on co-working spaces of Baltimore as a big help to his business. He said this kind of setting of a collaborative environment with others is efficient for problem-solving. Working with a lot of people increase your chances to efficiently solve the problems in your business by getting feedback from others. Co-Working spaces in Baltimore can be good for a writer who wants a quiet space but can catch up over a coffee, or a maker who needs access to state-of-the-art tools for fabrication. Well, in both cases Baltimore’s co-working spaces will have amenities that you desire. Let’s talk about the companies that occupy the co-working spaces in Baltimore. The Beehive at Emerging Technology Center has provided an incubator for companies since the 1990s and launched the Beehive as its co-working hub. The members enjoy free parking, coffee, tea, as well gym and popcorn bar. Individual membership starts at 70 $ per month. Betamore, one of the first co-working spaces in Baltimore launched in 2012 offers 34 dedicated co-working spaces and access to coffee, a fridge stocked with local beers. Free parking and the usage of the unlimited conference room is guaranteed. The Brewer’s Hill Hub bridged the gap between incubation and traditional office. It was opened in 2017 in the former Natty Boh tower and offers spaces for multi-purpose suites. Get free soda and Donuts on Friday, as well as flexible leasing terms. The Baltimore’s Co-Working space has more benefits. It is also child-friendly. The Cube is Maryland’s first co-working space to offer pay-as-you-go childcare services. Who could be the founder of this service? Of course, a caring mother. In fact, two of them. The space of 1.100 square –foot is for 60 members and includes exclusive amenities like wine and monthly manicures.